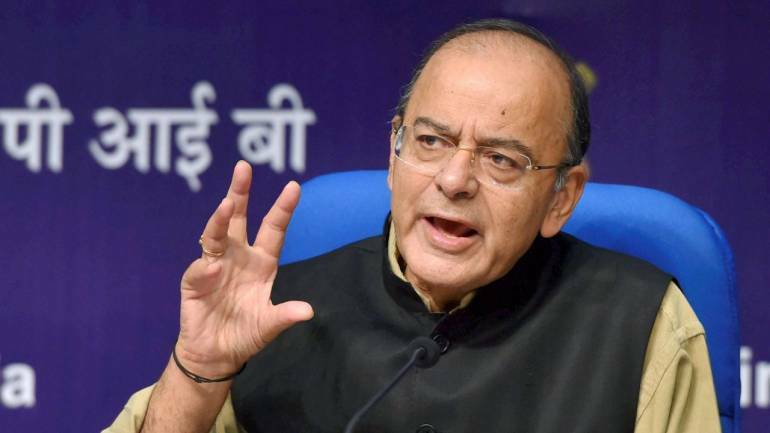 New Delhi, April 13: Union Finance Minister and senior Bharatiya Janata Party (BJP) leader, Arun Jaitley, on Saturday wrote another blog on Facebook hitting out at the opposition for raising "non-existent" issues in the run to Lok Sabha elections. Arun Jaitley said the opposition was running a "rent a cause" campaign and there was no leader of the grand alliance and a Common Minimum Programme. "One day Pulwama was questioned as self-engineered. The next day Balakot was questioned as a non-existent operation. The anti-satellite missile was passed off as a Nehruvian contribution even though Panditji’s correspondence with Dr. Homi Bhabha established to the contrary. One day BJP is accused of whipping up war hysteria, the other day it is dubbed as pro Pakistan," Jaitley wrote. Lok Sabha Elections 2019: AAP Joins Hands With JJP in Haryana After Talks Fail With Congress. Referring to a war of words between the Left, the Congress and the Trinamool Congress (TMC) in West Bengal and the Aam Aadmi Party (AAP) and the Congress in Delhi, Jaitley said "the opposition is in a disarray in many states". "Verbal battles between the Left, Trinamool and the Congress and now AAP and the Congress are increasingly visible. On the leadership issue, the situation looks gloomier than what I had thought," he stated. Minimum Income Guarantee Scheme: Arun Jaitley Calls Rahul Gandhi's Rs 12,000 Income Promise A 'Bluff'. Taking on the Congress for criticising Smriti Irani over her educational qualifications, Jaitley raised questions on Rahul Gandhi's degrees. "One day the focus would be on the BJP candidate’s educational qualification, fully forgetting that a public audit of Rahul Gandhi’s academic credentials may leave a lot to be answered. After all, he got an M.Phil without a Masters degree!" he said. The minister said the BJP is directly approaching people to understand their issues and include them in the election campaign. "The BJP and its allies are speaking directly to the people. They speak through mass rallies, media and social media. Crores of campaigners are carrying the message of the party and the Government to the people," he said.